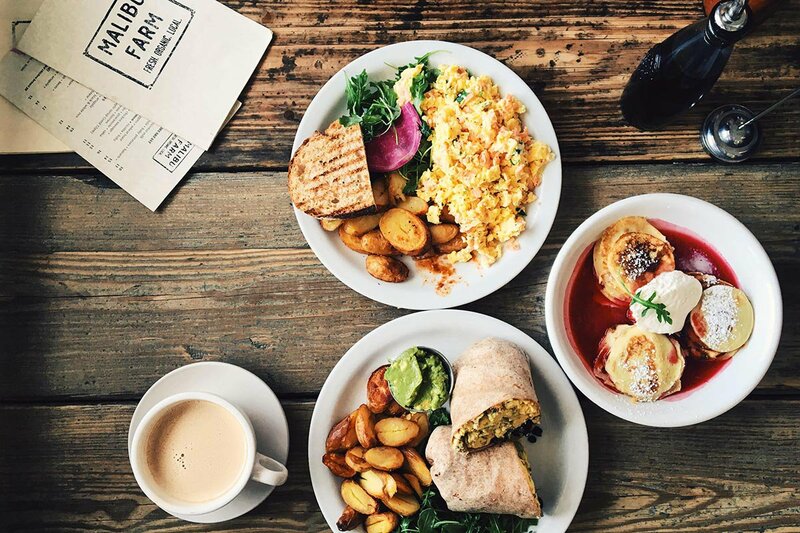 Fresh, organic, and local fare at Malibu Farm Cafe. Photo by Daniel Schwartz. Swedish-born chef and Californian resident Helene Henderson opened Malibu Farm Cafe and Malibu Farm Restaurant and Bar when the dinners she served on her two-acre farm outgrew their intimate setting. Her new project, Malibu Farm Cookbook: Recipes from the California Coast, explores the best of the west's terroir, terrain, and ingredients, which she also shows off in this tour of her town below. 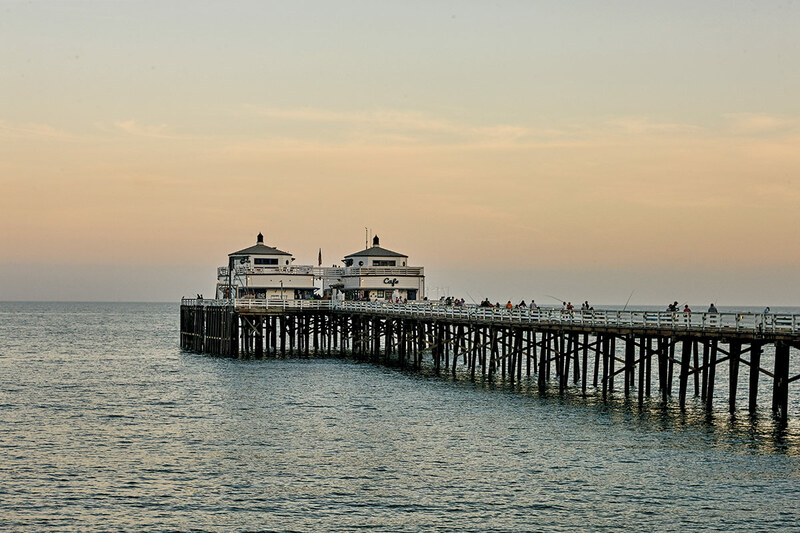 MALIBU, California – I love the rural, small town atmosphere of Malibu, where summer is endless and world-class beaches, organic farms, and vineyards are easy to access. My husband is a surfer and had always wanted to live here, so we flipped houses and saved money until we could make the move a reality. We live in Point Dume, a neighborhood with two-acre lots of land. Many homes have horses, barns, and vineyards. One of the things I love most is that everyone has a backyard farm of some sort. Vegetable beds are the norm rather than the exception, and everyone has bees — or at least they want to get bees. We started because the property we bought had a barn and corral, so we got farm animals to use it. Our hillside was perfect for grapes, so we planted a vineyard. Our lower hillside was covered in weeds, but when we cleared and cleaned it, we uncovered a fruit orchard which we restored. And, well — the rest is history. Malibu has several great hiking trails, but this one is the best and most popular. It's easy to access, super tranquil, passes a river, and terminates at a small waterfall. You can walk by the oldest standing stone structure in Malibu, as well as ruins of a burned-down mansion. Dogs are allowed as long as they're on a leash. Always fun for shopping and people-watching. There's a great central playground for younger kids. is one of my go-to spots for lunch. Although they have a sandwich named The Pier, I usually grab the fittingly-named The Farm, which is packed with veggies. makes a really good drink called The Million Dollar Smoothie — this is Malibu after all. Do as the locals do and book a class with Ted, the local yogi staple. His Iyengar and Ashtanga-style classes are the most popular ones in town. 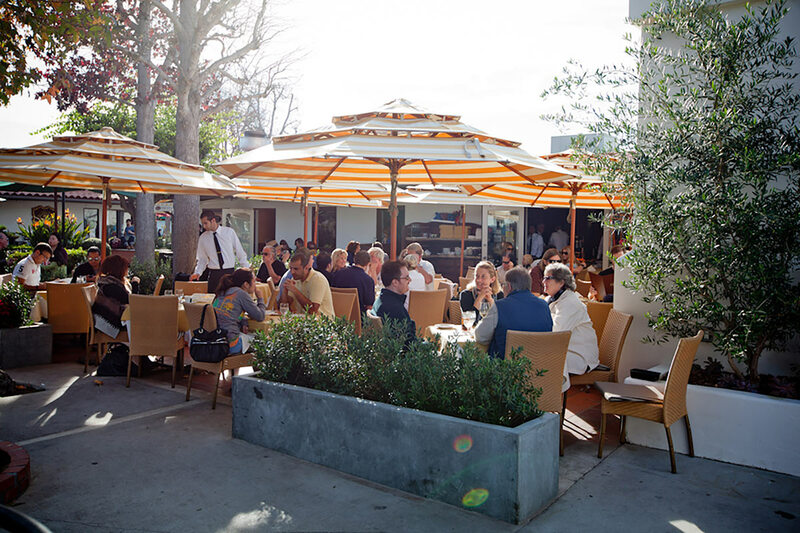 Al fresco dining at Malibu Country Mart. Photo courtesy of Malibu Country Mart. Malibu Farm Cafe. Photo by Martin Lof. I have two restaurant on — the cafe is situated at the end and the restaurant is located at the beginning. The cafe is best known for breakfast, burgers, and salads. We have a full bar and serve a mixture of sandwiches, steaks, and vegetarian favorites like vegetable crust pizzas and spaghetti squash lasagna. After you eat, take a walk along the pier where fishermen, locals, celebrities, and tourists all mingle together. It's a charming, rustic stop with unparalleled views of Surfrider Beach. A gorgeous collection of home goods, custom pottery, and beach stuff located on Malibu Pier next to Malibu Farm Cafe. My go-to spot for a little R&R with views of the Pacific. Treatments range from massages and facials to vitamin therapy and spray tans. When in doubt, find it out with the help of a tarot card reading. The metaphysical bookstore also carries a large selection of crystals, incense, and oils. 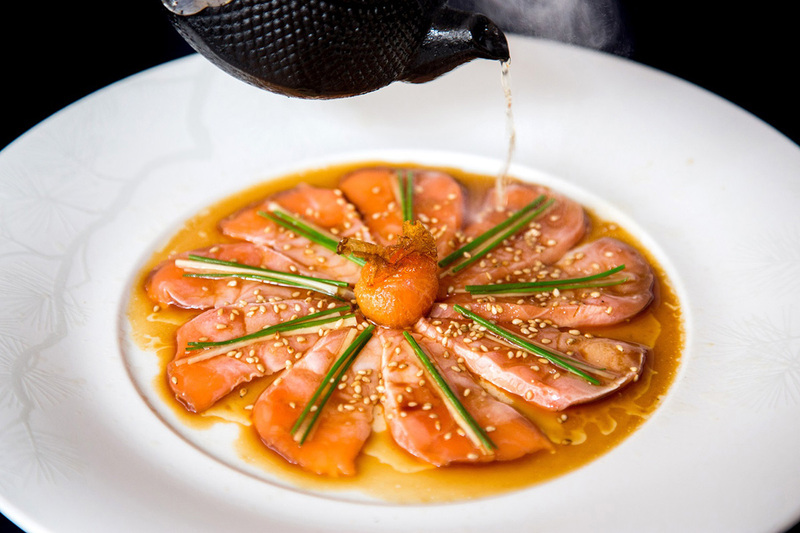 Nobu's new-style sashimi. Photo courtesy of Nobu. 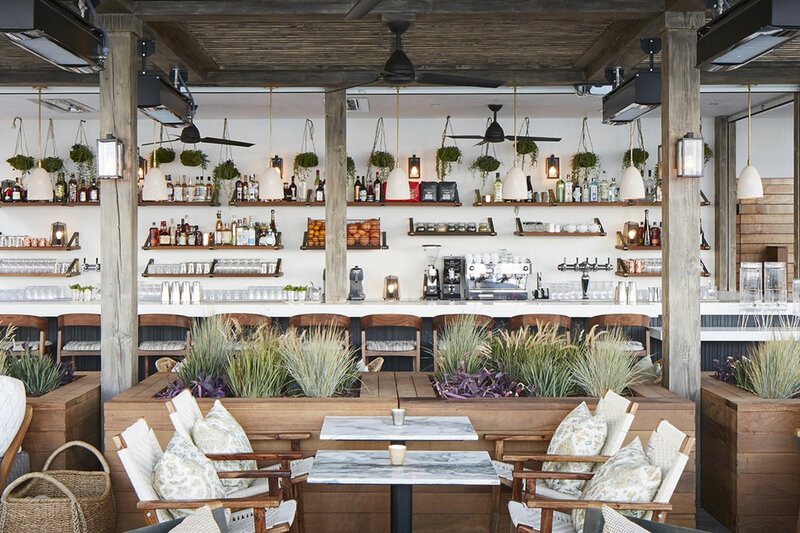 Little Beach House Malibu is the town's newest opening. Photo courtesy of Soho House. Head to the locally owned beach boutique for well-priced Malibu essentials like shorts, tanks, and bikinis from Billabong, Free People, and Indah. Local families love the six-acre community park for its playground, baseball field, hiking trails, and community center. Incredibly enough, it's also outfitted with free WiFi. After 9 p.m., when the rest of Malibu is quiet and sleepy, this oceanfront Japanese restaurant always has a late-night crowd. But weekday lunches and rainy days are my favorite time to visit. I order field greens with grilled shiitake mushrooms, miso soup, and a plate of their paper-thin, new-style sashimi. The latest addition to Malibu's dining scene is from the folks behind members-only club . They have a gorgeous ocean front patio where you can enjoy an afternoon snack and glass of house rosé. They do a beautiful cruditè platter with a really nice avocado dip and crunchy chia seed flatbread crackers. Buy , by Helene Henderson. Helene is the owner and chef of . Follow her on and . Был найден мной популярный веб портал со статьями про шторы.